Inbound marketing is perhaps one of the most important, yet least utilized, strategies in the business realm today. With the Internet being so pervasive in consumer activity, there’s no reason not to take advantage of inbound marketing, but if you aren’t sure what inbound marketing is, it’s important to start from the beginning. One growing segment of “modern marketing” is inbound marketing. In the traditional sense, marketing means going to the consumer and saying, “Hey, here’s why you should make this purchase!” While traditional marketing still holds its own in the realm of business, it is quickly losing ground. Why? Because consumers today are surrounding by marketing and advertising efforts on the Internet and through other media sources. This makes it harder and harder to stand out, so instead of proposing a product or service to a consumer, why not get the consumer to come to you? Your business’ website, especially in the digital age, is a crucial sales tool that can be viewed and used by millions of people across the world, 24 hours a day. As such, it not only needs to convey the information you want to get across, but it also needs to include inbound marketing solutions, such as blog posts, informative content, videos, images, and other elements that will keep consumers coming back, even if they haven’t yet made a purchase. Content marketing is the process of using content, whether it be text, images, video, or other media, to attract attention to your business and keep that attention. A content marketing strategy may be comprised of a single blog, but it can also be branched out to include a YouTube channel, social media profiles, and other attention-grabbing sources. One of the first things to do when launching an inbound marketing campaign is to get your business’ blog up and running. Blogging may seem like a chore, but if you’re passionate about what you do, you’re likely to see it as a way to spread the word about your industry and its benefits. 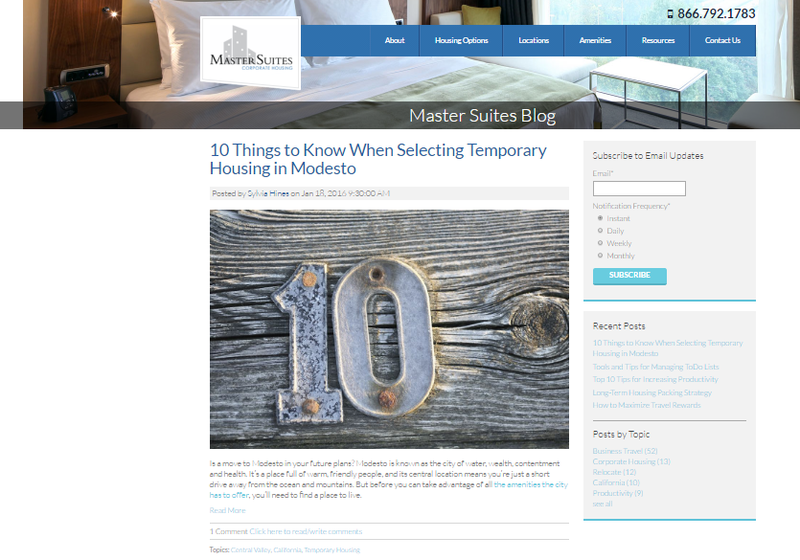 Master Suites provides a great example. Your blog content should ideally be hosted through your company’s website hosting service, but free blogsite services like WordPress are another option. Social media is hands-down one of the most effective pieces of the inbound marketing puzzle. Yes, it’s important to publish blog content through your website, but only visitors are going to see it. By creating a social network through various social media sites, you can attract followers, publicize inbound marketing content, and stay in front of the consumer or customer for longer periods of time. In addition, if your company’s content is engaging, it can then be shared, garnering more attention and potential business from the connections of followers on social media. Once you’ve attracted visitors to your site through content marketing, including regular, valuable blog posts and marketing on social media, provide further incentives to get involved by providing downloadable offers. A downloadable offer may be a coupon presented on your company’s website that can be printed out or it might be something like a discount code that can be entered online at certain retailer websites. This type of incentive is beneficial in that everyone loves free or discounted items, and by providing regular codes, you’ll have consumers checking in more often. Sadlier School offers various free downloads for learning. Finally, a strong call to action is critical for inbound marketing success. Remember, you got the consumer to come to you, so they don’t owe you anything. With a strong call to action, you need to work on the specific consumers’ pain points, fears, hopes, and other persona information. What does he or she hope to get out of the product or service? What may be holding him or her back from completing the purchase? What problems will the product or service solve for the consumer? The answers to these questions and more will allow you to create effective calls to action. 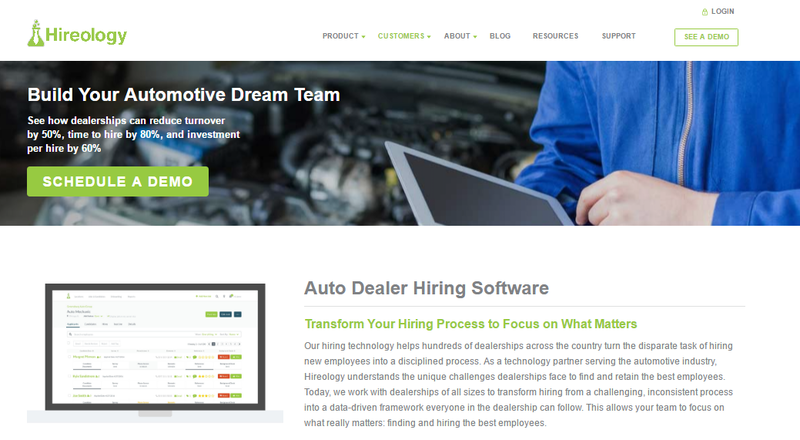 Hireology provides great reasons why their automotive hiring software will reduce turnover rates. Customer relationship management, also known as CRM, is a school of thought that involves sales, marketing, support, and feedback. In a nutshell, a CRM solution allows a company to not only create interest for a product and make a sale, but it also tracks where a customer came from, what is likely to have caused him or her to make a purchase, and what he or she will likely do in the future regarding purchases. HubSpot’s CRM software is completely free. Tracking and analytics are the lifeblood of CRM systems. These metrics provide companies with the ability to see who, what, when, where, why, and how when it comes to sales. This information can be used going forward to adjust marketing campaigns, reset advertising goals, and ultimately, sell more products and services. A software solution like LeadIn , provides businesses of all types and industries the ability to nurture leads for free. When you utilize LeadIn within your inbound marketing campaign, you can create pop-up forms to capture leads, track who visits your company’s website and see how they interact and learn how visitors visit pages, download offers, and decipher what social media activity they engage in. 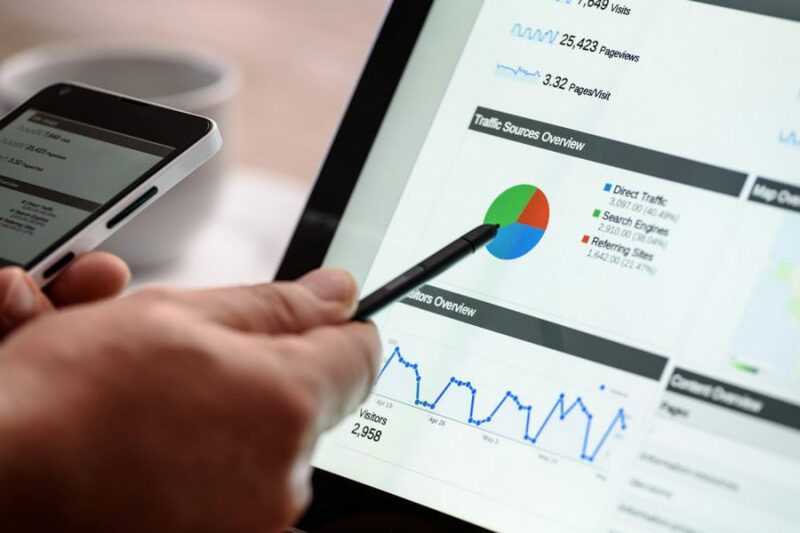 At the end of the day, this data will help your business to not only do inbound marketing right, but also to plan and strategize for future digital campaigns. Email plays a big part in content and inbound marketing as it is a tool that can reach out to many consumers at once. A software solution like LeadIn provides support for email marketing tools like MailChimp and Constant Contact. This makes it easier than ever to see where your inbound marketing efforts are paying off and where they may need some additional attention. In addition to lining with other email support tools, LeadIn has automated workflows which are virtually seamless and can go on to bring in additional revenue with the click of a mouse. No matter which software solution you choose, it must work with consumers through every level of your sales funnel. The benefit of using a software solution like LeadIn, is that it gives you the opportunity to organize, track, and analyze the performance of your campaigns. Analysis is the final key to the sales process, allowing your team to see where changes need to be made, what is working, and how it can improve. Analyzing is not just numbers…analyzing is what leads to real results, and with LeadIn, you get both. To learn more about how LeadIn software can help your business with inbound marketing solutions, click here. In the age of social media, inbound marketing is quick, easy and affordable and must be a staple of any company’s marketing mix. Paul is the Director of Marketing at MediaTown. Over the last 10+ years (whoa, a decade! ), he's been getting his hands dirty in all things online marketing including SEO, marketing automation, online advertising and Inbound marketing strategy. Inbound VS. Outbound: What Are They & Which Is Better For Your Company?